SEO moves faster in travel than in any other industry and at times getting everything right can feel like spinning plates - Keith Hodges, SEO analyst in travel for London-based SEO agency Polaris, has some tips on some of the key mistakes to avoid. Understanding the ‘user journey’ - the way people interact with the website - is the key for better SEO. Not taking the time to understand users’ psychology and their behaviour is a huge mistake, as there are clear stages within the consumer search that travel companies must look into, from research to buying for example. Investigate Google’s User Journey Tool to identify where users arrive and leave your website and why. In April, Google released its Mobile Update, virtually forcing all websites to become mobile-friendly, as those not optimised for mobile are at risk of dropping significantly in rankings. Mobile internet use has surpassed laptop use for every day search (33% to 30% according to Ofcom) and the luxury market is not immune to the mobile search trend, so must invest in this area. Having a mobile-responsive website is not only essential for rankings but also for ‘cross-device user journeys’ (switching from one device to another during a search). Apps are becoming an integral part of search marketing, so staying ahead of competitors by adapting websites and your online offering to the consumer’s devices could pay off hugely. Google Places display businesses’ information such as address and opening hours on search listings, maps and more, and this should now be a key component of a travel company’s tool kit. Hotels can see benefits for people looking for hotels in particular areas or locally and finding their business on the map. Google’s own Hotel Ads is now more widely available and in some regions, hotels can even be booked within Google itself, so users need never navigate off page. As luxurious as your product may be, it’s a mistake to only have ‘description tags’ (the little description under your page title on search engine listings) that describe things such as ‘opulence’ and ‘luxury’. More important is to explain or demonstrate what the brand is really about, or what the business is offering, as that’s the information users really want to know in the search phrase. Across the website, ‘meta data’ (giving information on your website’s data) needs to reflect the brand and show what a website offers. For a luxury travel brand this data should reflect what makes a hotel, flight option or destination attractive to customers specifically looking for a luxury holiday online. This is the first thing they will see on search engines so the description needs to engage them. Highlight your key information in ‘rich snippets’, to provide a sample of your website’s content for search engines to find. The title, website URL and description generally underline the key products, services and features of a company. Marking up your pages with potential rich snippets sends clear messages to all search engines as to what can be expected from your website and will improve its visibility within rankings. SEO specialists and web managers must deal with technical elements of your travel website and conduct an analysis on a regular basis, to monitor crucial factors such as page speed and performance. Only with such analysis can you have a clearer idea why a customer leaves your website early for example. An SEO team can then report on changes that need to be added to your site, such as a new booking system, or flight updates. A successful travel site must keep up with increased demand, so it is highly beneficial to improve the ways information is delivered to your customer and keep up with new options. Travel SEO in the luxury market is unique in the levels of products and keywords that can potentially be sold and targeted. This doesn’t mean targeting 2,000 keywords is always the right answer though. In fact, initially targeting as few as 50 can transform a business. Having thousands of rankings is great if they are all highly competitive terms (generic and sought after), but understanding what really makes people buy and ranking for the words they search is much more powerful. Not targeting keywords in foreign languages reduces potential bookings dramatically. Using ‘language tags’ and, if possible, translated versions of a website will help your luxury travel site rank globally. If people are looking for flights or travelling to the country where you are located, it makes sense to create an immediate connection with your brand and service in their language. Often overlooked are little words and codes called ‘heading tags’ (which inform users and search engines what the page is about) and ‘alt tags’ (which give information about your images or videos on search engines). 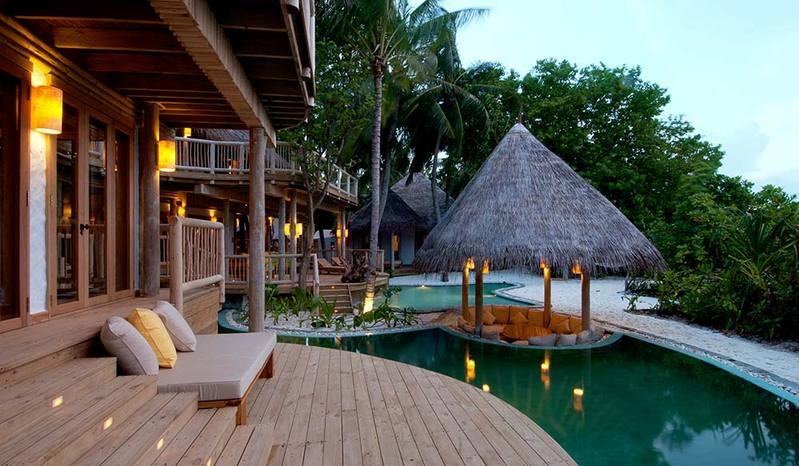 The visual element of the luxury travel industry can often sell a location or room to a user. Correctly using these tags to notify a search engine of what is in a picture or on your overall page can be highly beneficial for your business. Place tags on key points such as accommodation or flight details, local attractions and booking portals. On-page SEO is much more than just having the content - there is a need to present this content to a search engine in the right way. The scale of the travel industry means that any one company has to compete on a global scale and it can be easy to give the popularity of your brand too much credit. Focusing too much on branding within SEO can result in page titles and on-page content that’s not diverse enough and as such will not rank well in those key terms where sales and revenue increases can be sought. Polaris is a London-based SEO agency with a specialisation in travel.